Fresh off their receipt of the USL League Two’s Franchise of the Year Award for on and off field excellence in 2018, Reading United has reshuffled ownership and front office staff to better streamline operations moving into the 2019 season. Berks Professional Sports, Inc., Reading United’s ownership group since 1995, will now be led by three active owners: Troy Snyder, Art Auchenbach,and Jan den Otter. Snyder and Auchenbach have both been integral parts of the ownership group since becoming more active with the team in 2008. Troy Snyder will continue in his role as the club president, Art Auchenbach as vice president, and Jan den Otter as Treasurer. Chase Rusden joins the team in the newly created Director of Team Operations position. Chase, a University of Maryland graduate, previously held a similar position with D.C. United as their U23 Team Coordinator during the 2015 season. His responsibilities will include items such as player registration, transportation, equipment, and administrative paperwork. In addition to his new role with Reading, Chase also serves as the Team Administration Intern with Philadelphia Union and Assistant Boys Soccer Coach at his alma mater, Twin Valley High School. Ryan Lineaweaver’s role within the organization has been streamlined to the newly created Director of Communications and Marketing. An Alvernia University graduate, Ryan will now be in charge of all team communication efforts (including social media, newsletter, website, and press releases), sponsorship sales, ticket operations, and internships. The majority of Reading United’s staffing will stay in place for the 2019 season. 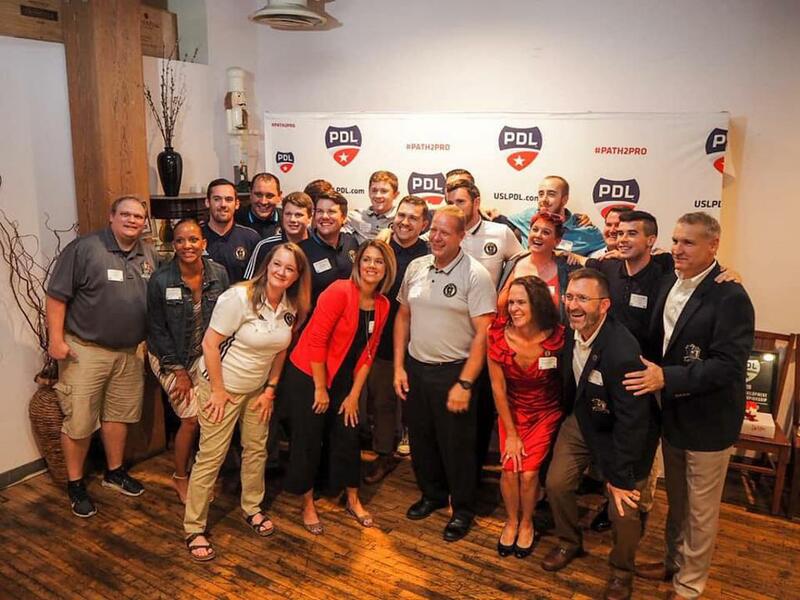 2018 Coach of the Year Alan McCann returns as Head Coach, 2018 PDL Volunteer of the Year Jeff Blankenbiller (Director of Game Day Operations), Colin Kent (Director of Youth Coaching), John Cusatis (Director of Community Relations), Amy Auchenbach (Director of Merchandise), Missi Miller (Director of Ticketing), Alan Peglar (Director of Video), Sean Doyle (Media Coordinator), Laurel Fryberger (Concessions Manager), and Candace Hall (Sales &; Sponsorship Representative) will all return for the upcoming summer. USL League Two will be releasing the full league schedule next week on Wednesday, January 30th. Season tickets can be purchased ahead of time at readingunitedac.com/tickets.